The Sikorsky MH-53J is a variant of the MH-53 Pave Low heavy-lift helicopter capable of long-range, low-level undetected entry into hostile territory at all weather conditions. It was designed for use by US Special Forces units, the MH-53J has a variety of cutting-edge features that help it in its role, making the most-technologically advanced helicopter in the US Air Force’s arsenal. Some of its declassified features include terrain following and avoidance radar, infrared sensors, GPS, and inertial navigation systems, a state-of-the projected map display and armor plating. With nearly 90 feet in length and an empty weight of 32,000 pounds, it is one of the largest and heaviest US military helicopters in history. Integrating the latest in helicopter technology with size and power, the MH-53J is one of the smartest and biggest helicopters flying today. While owning such a badass helicopter may be a pipe dream, you can do with the next best thing with the MH-53J PaveLow 1/48 helicopter scale model. 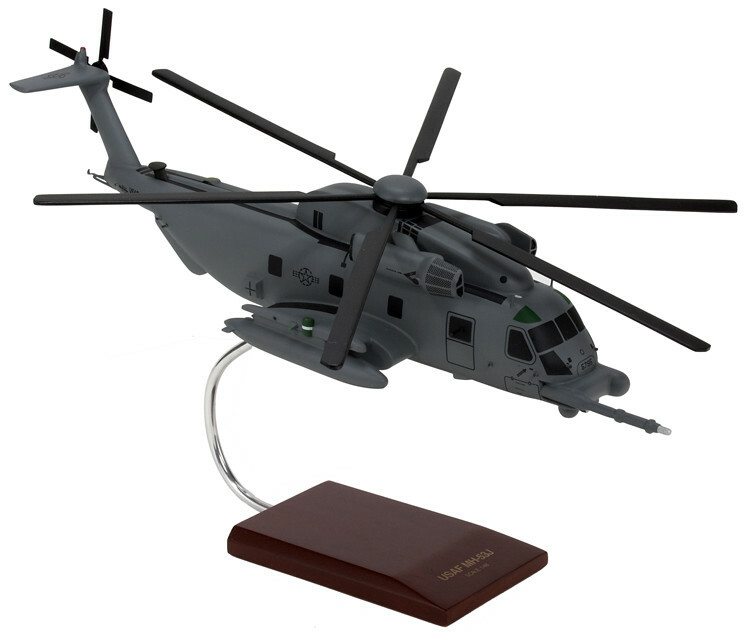 Made of carefully selected kiln-dried wood, each model is an accurate scale replica of the USAF MH-53J Pave Low. You won’t find a better quality model at such a great price than this. So whether you’re a serious collector or looking for something awesome to spice up your home or office, you should definitely grab this one for your collection.